THE MAN. THE ARTIST. THE LEGEND. Von Franco Traditionals is the only authorized USA vendor of original monster shirt designs by the living legend, Von Franco. 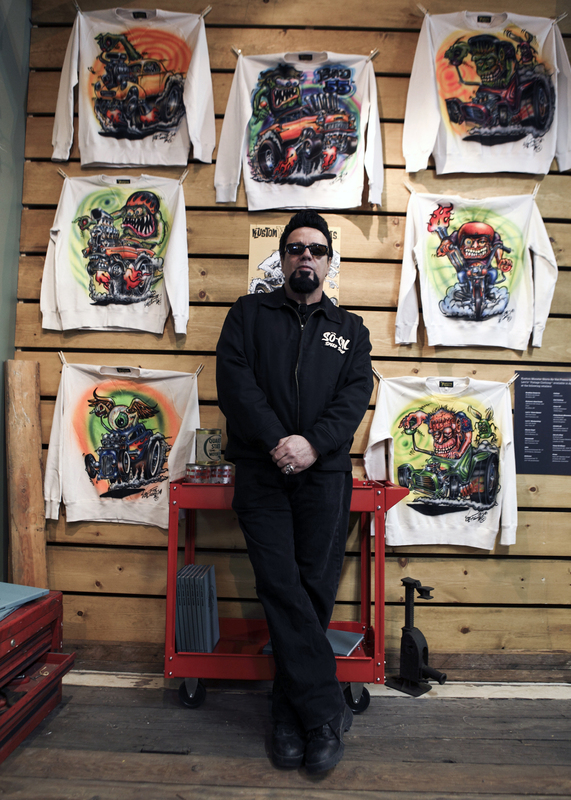 When you buy one of our products, you are investing in a piece of history from the real deal: a man who worked alongside Ed “Big Daddy” Roth, Von Dutch, Ed “Newt” Newton, and other pioneers of the Kustom Kulture monster art craze of the 1960s. Von Franco has had his hands in every aspect of the lowbrow and hot rod scene, from creating art to building cars himself — his artwork is in collections all over the world; he has pinstriped and flamed countless custom cars and hot rods; he has built dozens of famous cars; he created a line of traditional monster shirts for Levis. 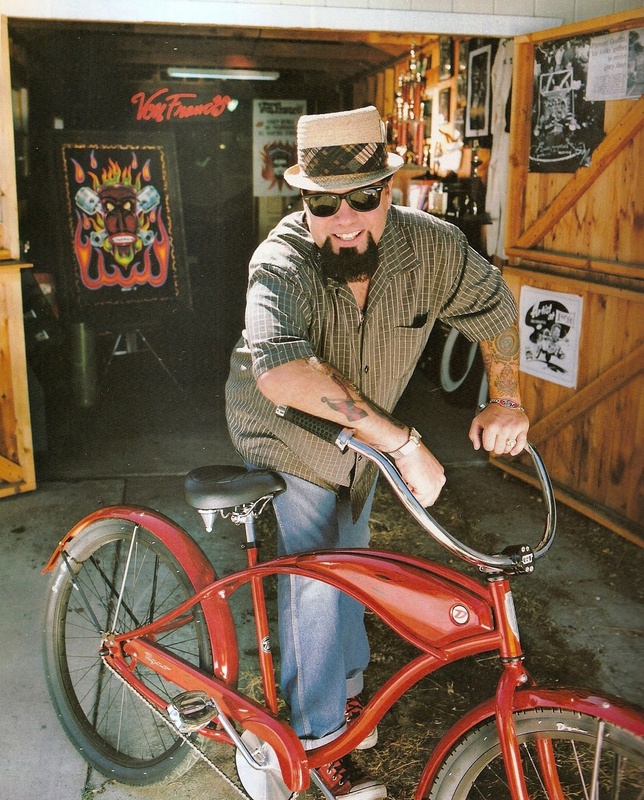 Completely self-taught, Von Franco’s curiosity, background, and history is legendary in the Kustom world. Now, his unique art is available for you to wear…and you can also custom order something original. Read on to learn more about the man behind the monster art. Von Franco fondly remembers drawing cars and characters at a young age. He was born in 1952 in Santa Rosa, California, during the explosion of the custom car scene. His early inspiration came from comic books, Mad magazines and monster art by Jack Davis and Bill Elder. What he remembers really changing his life was when he took a look at his first Car Craft magazine. Besides digging the cars and styling he found on the pages, what really left an impression on him was what he found in the last few pages. He recalls, “In the back was this cool art of monsters and cars, it was crazy. 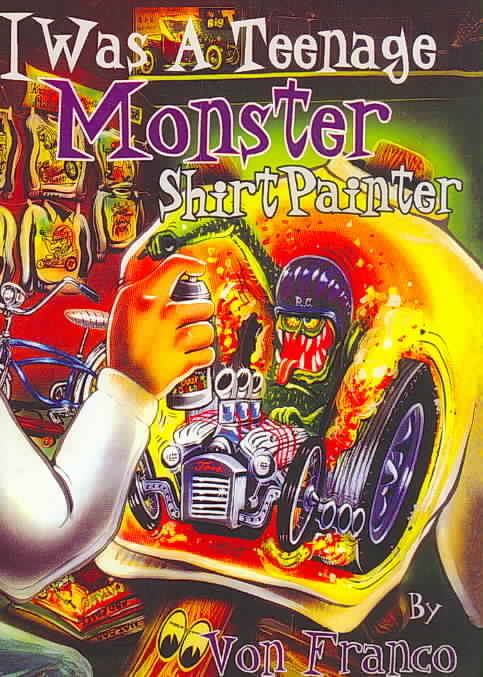 Come to find out, it was Ed ‘Big Daddy’ Roth shirts. 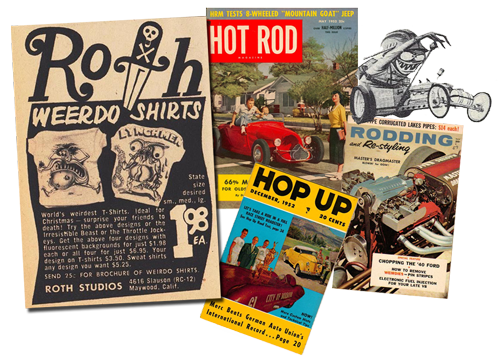 From then on I was hooked.” It was after discovering Ed Roth that he learned of Von Dutch, Larry Watson, and Dean Jeffries, who also made t-shirts, while thumbing through the pages of any car mag he could get his hands on at the age of 10. While Von Franco has had some great hot rods and customs through the years, his first car was a 1936 Ford coupe. He reveals, “It was rough; my stepfather bought it for the San Jose Modified races back in the 1960s, but didn’t use it. So he sold it to me, but told me I couldn’t work on it or anything and later sold it for scrap.” Young Franco was only 14 at the time. Franco may have never got that fifty bucks back for that first coupe, but with all this raw car culture and inspiration flowing through his veins, it was only natural that by the age of 12 or 13 he began creating t-shirts and sweatshirts for the kids in his neighborhood and making a little pocket money on his own. While he didn’t have any formal art training (in fact, he flunked art in school), he did essentially learn by doing it for real, shirt after shirt. There was just one problem though: “The kids’ moms made me give them money for new shirts.” So the small pay he made on those early gigs was a wash. While picking up small jobs here and there, it was a while before he would get any serious painting gigs. 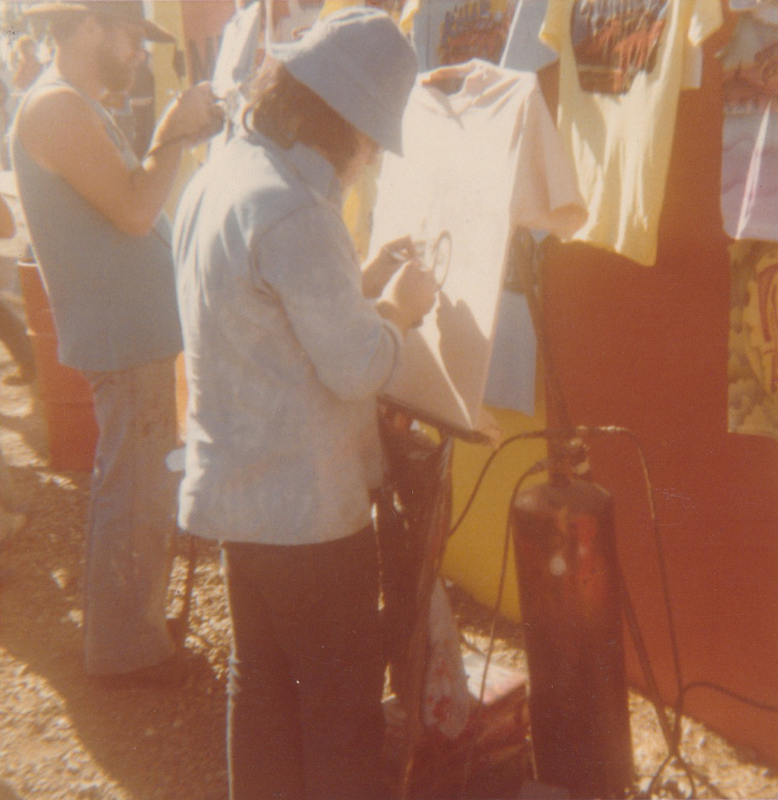 He caught a break in the early 1970s when he began working for Dennis “The Great” Reniero, airbrushing shirts at his Santa Cruz shop, as well as at car shows. After that he worked for Tom “The Giant” Nye. While Von Franco became friends with most of the legends he had looked up to and been inspired by, he points out, “My biggest influences will always be Ed Newton and Robert Williams. They always took the time to give me the right and straight advice, whether I liked it or not. Newt was the biggest and most helpful, and Ed Roth always reminded me of how I had to study his work non-stop. And I still study his work today. The guy was a genius at pen and ink, as well as airbrush. 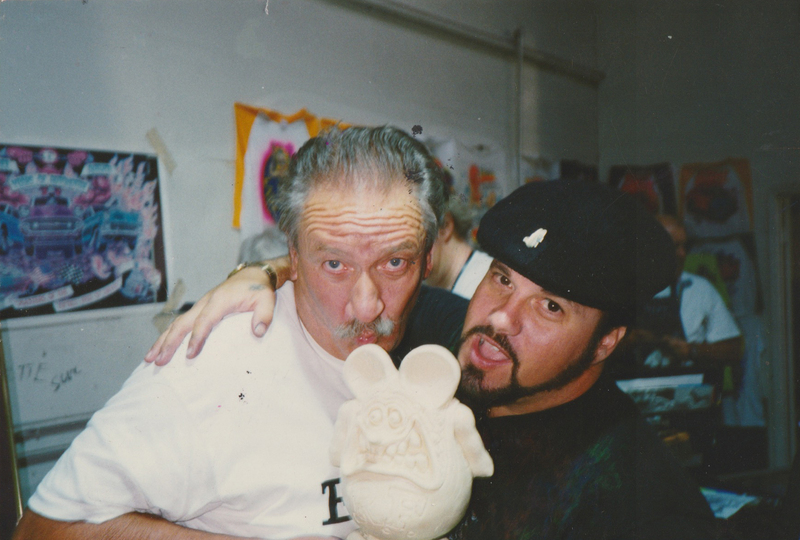 Like they say, all good things must come to an end, and after many years with Ed Roth Studios, Von Franco decided that it was time to move on. After living in the Bay Area his whole life, he decided to head south and moved to Burbank, California in the 1990s. He lived in a house owned by Verne Hammond, a Choppers Car Club founding member. During this time, he was doing art part time and also playing guitar with a band called The Bomboras. After leaving The Bomboras, he played vibraphone with another band, The Hyperions, and shortly after went back to doing artwork full time. Burbank brought new and diverse opportunities, and Von Franco ended up doing work for the Nickelodeon Television Network, Capitol Records, and different motion picture companies. Projects included album artwork for the band Heart, background art for cartoons, design and painting for television commercial props, artwork for the film Clueless, background art for a claymation segment in a music video for Tupac, and prop design and production for the casket in the film Kingdom Come, which starred Whoopi Goldberg. 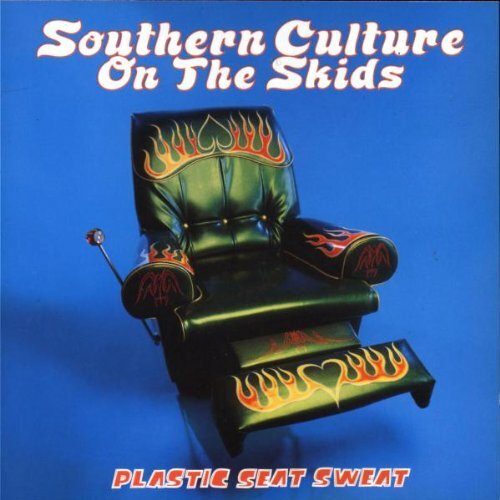 Von Franco also painted the iconic chair featured on the cover of Plastic Seat Sweat by Southern Culture on the Skids. It was during this time that Von Franco was hanging out in the lowbrow art scene in Los Angeles. Film work led to other endeavors, such as the debut of two GT Cruiser bicycles, designed and styled by Von Franco. He also designed multiple tiki mugs produced by Tiki Farm, highly collectible today. 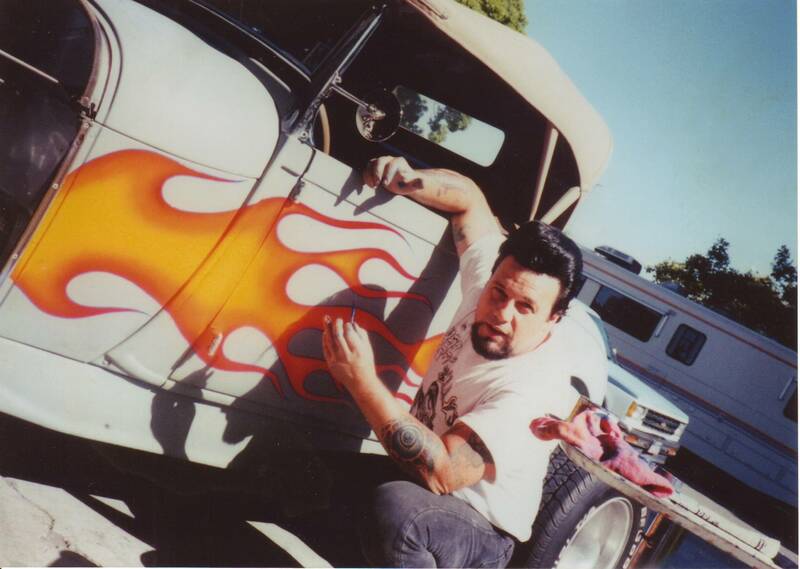 Another notable accomplishment was his concept, design, and artwork for Rhino Records “Hot Rods and Custom Classics” box set, a compilation of hot rod and custom classic-related music from past to present. Designed to look like an old Revell model box, the accompanying booklet was designed in the style of old hot rod magazines. Von Franco also produced a book and DVD, I Was a Teenage Monster Shirt Painter, an image-laden history of the genre and his own experiences. The book and DVD are both long out of print and sought-after by collectors. In the early 2000s, Von Franco was commissioned by Levis to do a massive series of monster designs on reproduction vintage Levis sweatshirts, much like those he had first seen in the back of hot rod magazines back in the day. 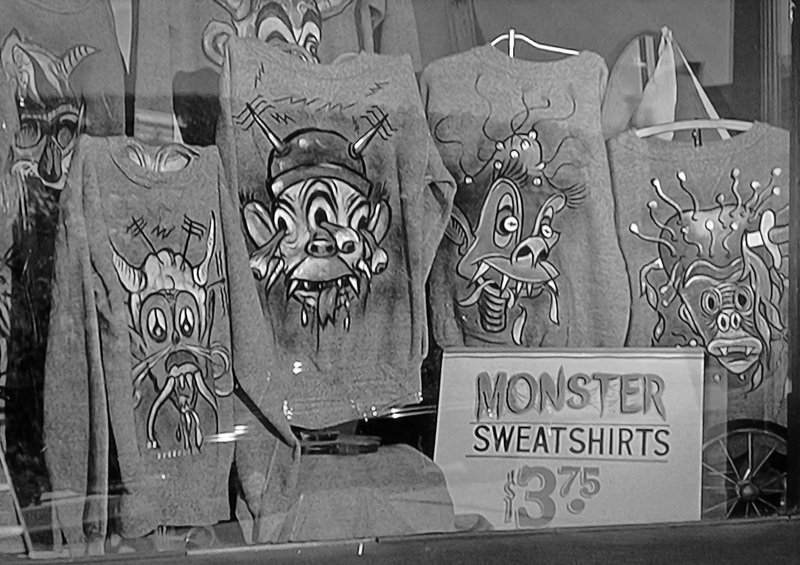 Levis understood and valued the historical significance of the monster sweatshirt style, and Von Franco was the obvious choice to execute such a project. 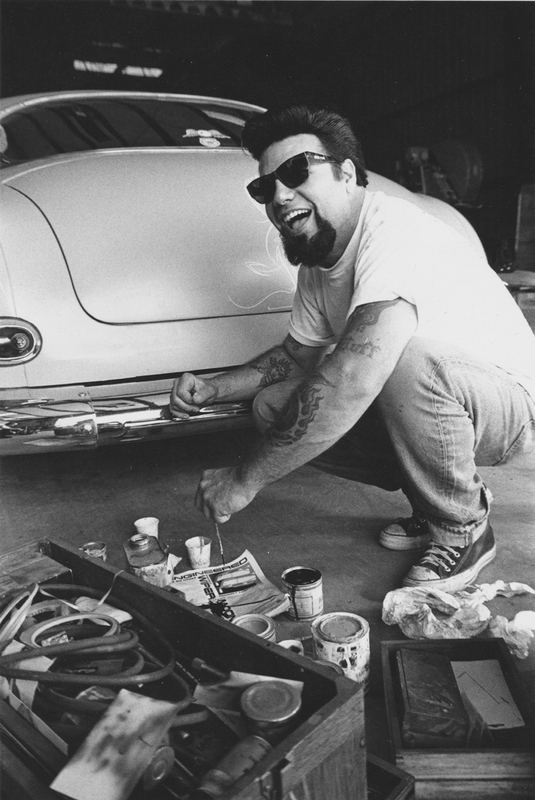 It was during this time in Burbank that he was participating in art shows around L.A., such as Wacko’s and La Luz de Jesus Gallery, and having booths to promote his artwork at car shows like West Coast Kustoms Cruisin’ Nationals in Paso Robles, and at Ratfink Reunions and the Mooneyes Christmas parties. 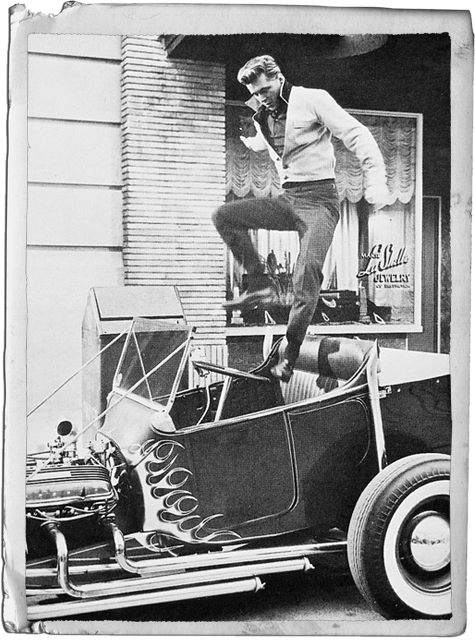 He also began attending a new car show in Austin, Texas called the Lone Star Roundup. Along with his longtime friend, Steve Wertheimer, he organized an art show for the event. As far as cars go, Von Franco has had many hot rods and customs throughout his life. 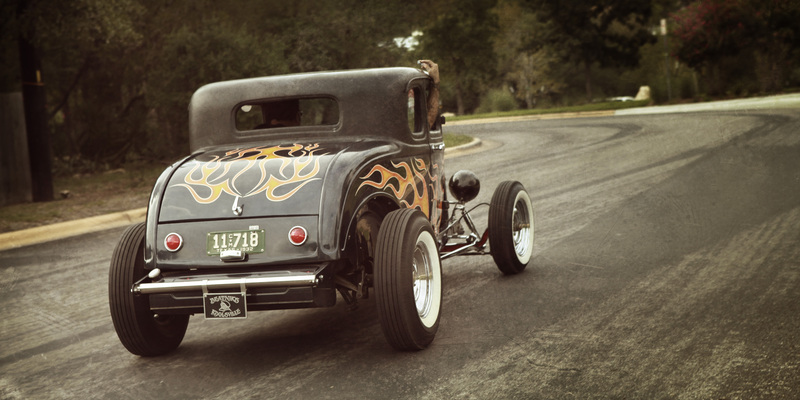 He’s owned several 1932 Ford 5-window coupes and built some really cool hot rods. 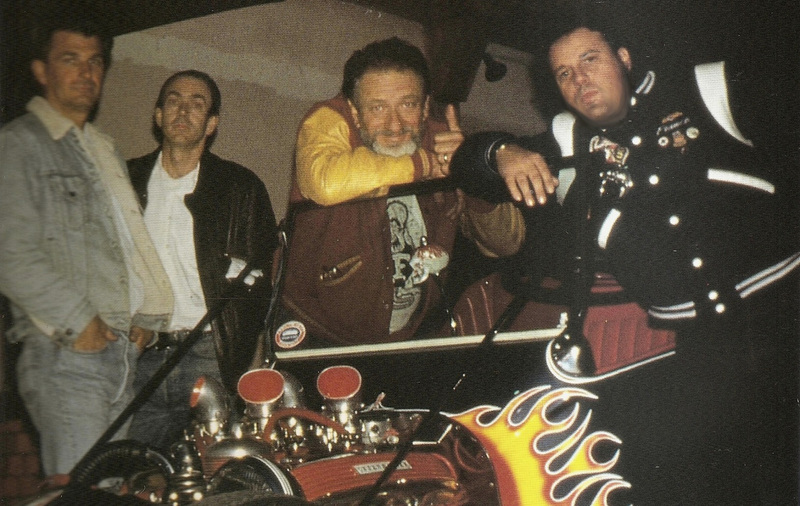 After growing up watching the Kookie Kar on 77 Sunset Strip, it was a longtime dream of Franco’s to either own that car or to build one like it. This was long before the trend of cloning famous cars. His idea was to build the car as close to the original as possible, just to have it and be able to drive and enjoy it. That dream came true after collecting parts for sixteen years and it all came together in his garage at a house he was renting. 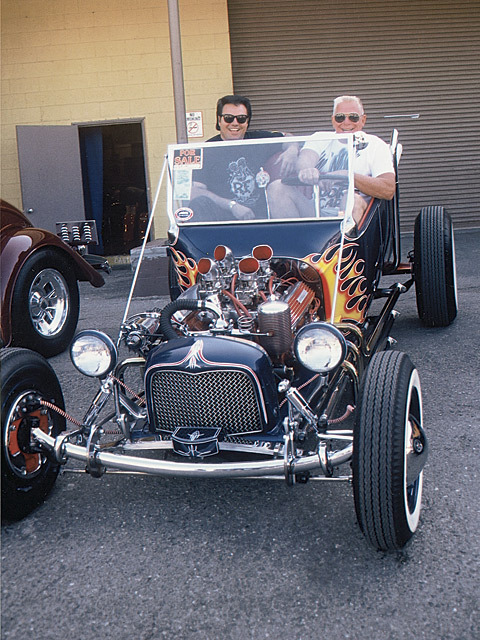 He also began a decades-long friendship with Norm Grabowski, the original owner and builder of the Kookie Kar used in the show. This article by Mike Parker originally appeared in two parts in Traditional Rod & Kulture Illustrated in the Spring and Summer 2015 issues.  It has been updated and edited for content by Von Franco Traditionals. 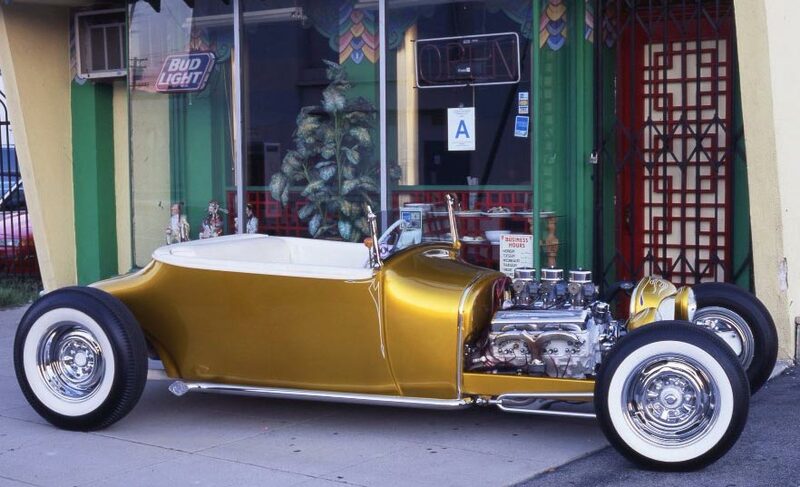 Another car he always liked and wanted to own and drive was “The Golden Rod”; he almost bought the original car but missed out on it. So he built a car as close to the original as possible and drove the wheels off it, too. The last of the famous magazine cars that Franco built was the Lightning Bug, which was actually an earlier version of Norm Grabowski’s T hot hot, which eventually became known as the Kookie Kar after some changes. The idea was to build the Lightning Bug as it would have been back then, and after acquiring the original headers, he essentially built the car around those pipes, going off of early photos of the car. Being into cars his whole life also meant being in some car clubs, including the Axle Busters out of San Jose. 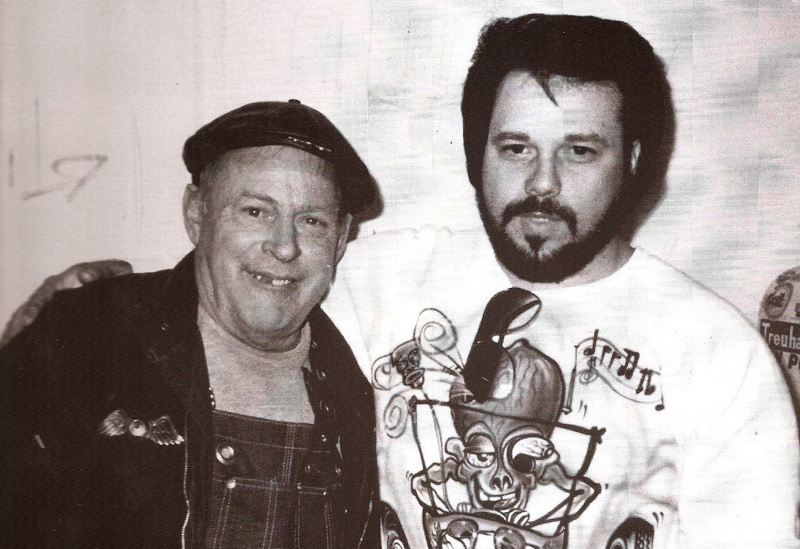 He was also a member and co-founder of the Lucky Devils in Orange County. Today, he is a member of the Beatniks, which he describes as more like a family of good friends who are into hot rods and custom cars. 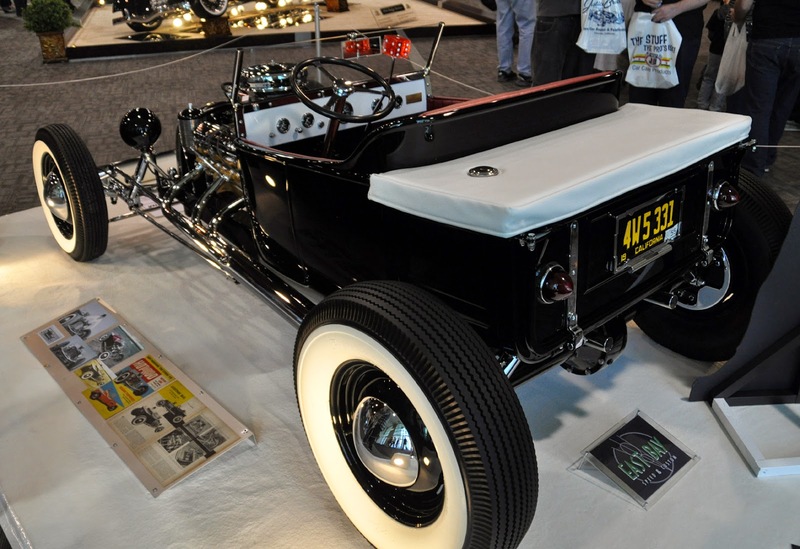 In 2016, Von Franco was invited by Dave Shuten and the Galpin Auto Sports Museum to participate in the epic restoration of Ed Roth’s 1956 Ford shop pickup. He painted an exact replica of the original tonneau cover art.